Built along a canyon downstream of a university, our home and garden sit comfortably and sensibly on a fairly wild canyon edge. While enjoying the outlook, effort was made to ground the inhabitants, to make them feel secure and protected in their own home. 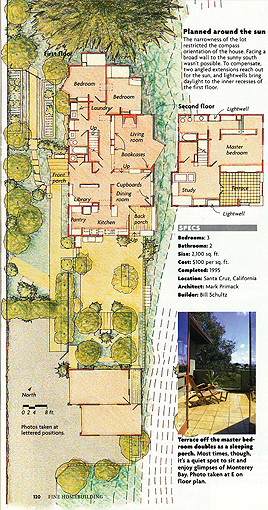 A series of garden rooms marked the passage from car to front door to kitchen garden to mature cypress tree, and from kitchen to a south facing courtyard defined by the detached garage/studio.